It's been a super mild winter. So it's been nice not having to be bundled up all the time. I wore this look with tights and my work shoes to an event at work. I swapped out the tights and flats for over the knee boots for a date night. I'm really liking the combo of leopard and burgundy. Those boots look amazing on you! Love them paired with leopard! 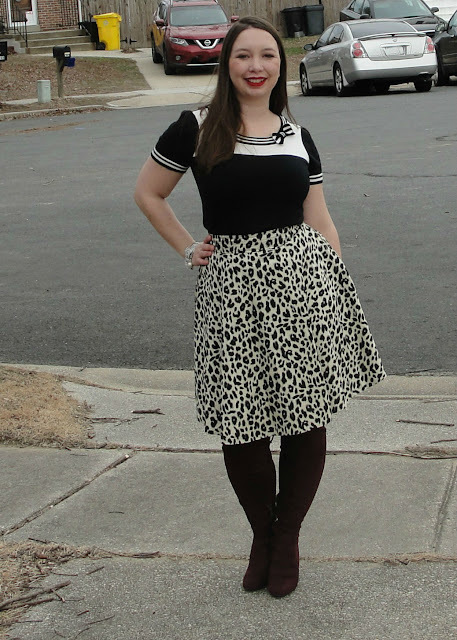 I love leopard and burgundy as well,and a mild winter is always nice. 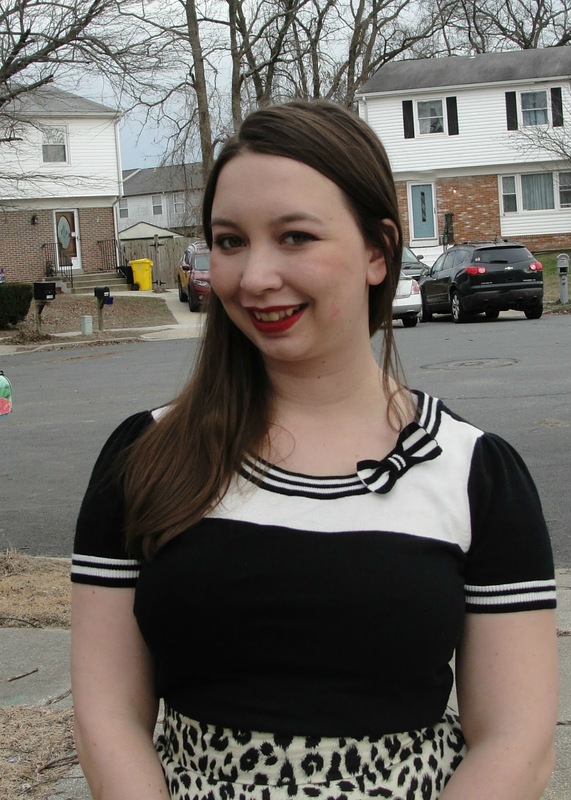 I love the darker lipstick with this outfit! Those boots are perfect! So cute! Love the fun leopard!